Not only will rain get into a crack and cause water damage, strong winds could also get into the crack and possibly make it worse. Small cracks can be easily sealed up with caulk, whereas larger cracks may need professional intervention. Draft protectors, meanwhile, may be able to stop wind from getting into gaps beneath doors and windows. Old windows and doors could be ripped off of their hinges in bad weather. It may not necessarily be the door or window that is the problem – most commonly it’s the result of a broken frame or hinges. As for those living in flood-risk areas, it could be worth fitting a flood guard to the bottom of your door. These barriers may look ugly, but they could save you thousands in interior damage. Serious storms can often lead to power cuts. Investing in a backup generator could help provide you with an extra power source in the event of a blackout. There are companies out there that can do generator installations for you. You could alternatively invest in a sustainable backup solution such as solar panels, although these may be costlier to install. 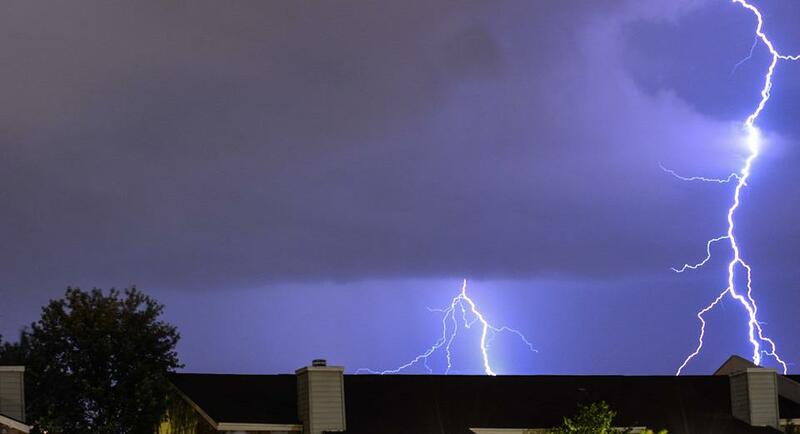 There could be many objects outside that pose a danger to your home during a storm. Loose garden items should be locked away in a shed the moment that you get a storm warning – you don’t want a garden table crashing through your patio doors. Trees may also be a danger, especially those that have been partially uprooted by a previous storm or seem to be dying. Removing a tree may involve getting planning permission and you may want to pay an arborist to do it for you. Another danger to be aware of is old guttering. This can be particularly dangerous in winter, as water in the gutter can freeze up, effectively turning the whole thing into a giant ice block. If this is loose or broken, a strong wind may have the power to rip it off and cause damage to your home. If you think this could be a problem, consider hiring a professional to see to repairing your guttering. Getting insured won’t prevent storm damage from occurring, but it could help pay compensation for home repairs. Not all home insurance companies will cover storm damage, especially if you live in an area prone to storms and flooding, in which case you may need to seek out a specialist storm insurance or flood insurance company. Insurance rates vary from each provider, so it’s worth spending some time shopping around for the best deal. Taking measures to make your home safer when inclement weather strikes is important for you and all who live in your home. And, as always, it’s better safe than sorry. Not much for storms in my area, more like a possible earthquake! But in Michigan, it was some truly rough weather over the years. Prepare!